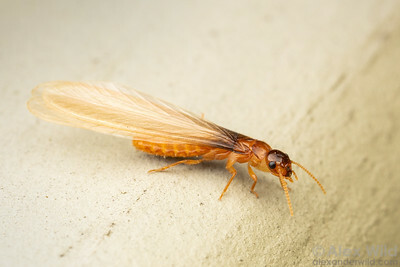 Among the most damaging pest insects in North America is the Formosan termite, a South American species that can inflict considerably more damage to wooden structures than our native species. This is a winged adult dispersing during a spring mating flight. Austin, Texas, USA.